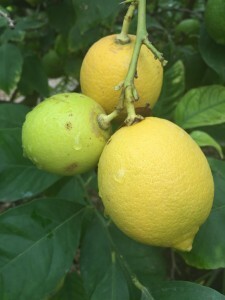 Product Bulletin - Spanish Lemon - Ultra International B.V.Ultra International B.V. The 2015/16 season ended in August with it being one to forget for the processors, with oil volumes significantly down on previous years. Although the figures for 2015/16 were in the end revised up from earlier estimates of a 35% decrease, it still ended with a 25% reduction in total fruit production, which put pressure on European supplies of fresh fruit and with it availability for local processors. Ailimpo advised us that the season closed at 802,680 tons, down over 250,000 tons on the previous year! We’ve been visiting the main growing region of Murcia these past weeks seeing for ourselves what progress is being made on the assumption that this year Spanish production will bounce back to near 2014 levels. What we did see were a number of maturing new plantations which are expected to heavily contribute to what has been forecasted to be a much better year. Ailimpo’s early forecast suggests 980,000 tons production, which will be a 22 per cent increase on last year. That said the season has started slowly with one processor only working at 15-20% capacity at the moment as they await more ripening fruits to become available in the coming weeks. Much of this slow start is attributed to a drought across Spain which has effected so many of their locally produced crops, impacting on many other essential oils like Thyme, Rosemary and Lavender. 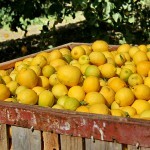 The drought conditions are causing the fruits to develop more slowly than usual but it is hoped that the long-term effects won’t be any more negative than just a short delay in fruits, then juice and oil reaching the markets. Local fruit prices have softened a little which is being blamed on the South American producing countries of Argentina and Chile attempting to offload some unsold fruits to the European markets, where Spanish fruits usually dominate. Although prices are not expected to fall heavily this softening is expected to last throughout the season with Italy also expecting a 25% increase in their fruit yields this winter. That said fruit prices are still relatively high as fresh fruit demands around the world continue to increase. This means the input cost of fruits for the processors remains firm leaving oil prices still above €30 /kilo today a price which is likely to remain consistent for the foreseeable future.